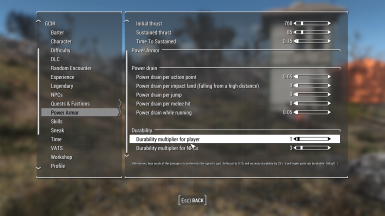 GCM allows you easily set many game settings without the need of additional ESPs or console commands. -Allows you to change weather. Force it or let it transition overtime. 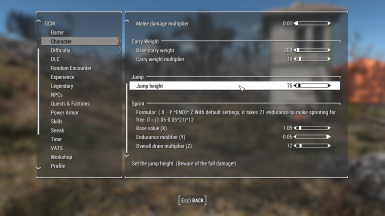 -Adjust sandbox settings. Allowing NPCs to reach other floors. 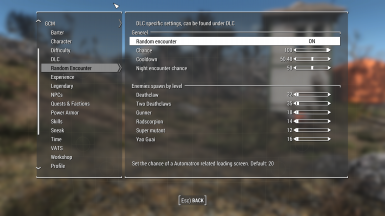 - Oh boy... you can now finally disable random vertibirds encounter or adjust the spawn chance. 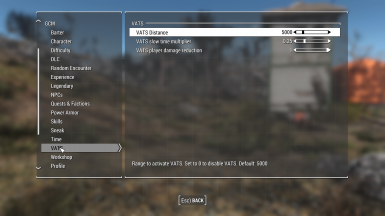 YOU can now decide if the brotherhood of steel ran out of vertibirds. -More sneak settings for stealthpoints & searchtimer etc. -Fix for 0.3 not reading your current values for the new settings added. If you have issues with 0 values in your settings, read the sticky in the comment section. 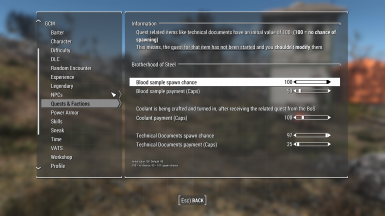 Some settings to allow you to prevent combat music from playing. 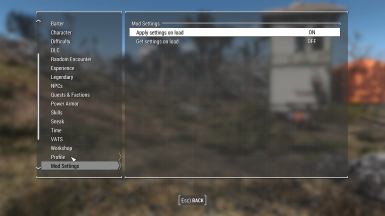 There are a lot of settings within the game, this mod does not cover all. 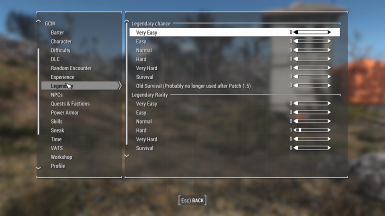 This mod will be updated over time and new settings will be added. 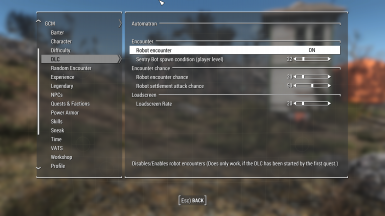 You know helpful game settings, that should be added? Write a comment or send me a message! 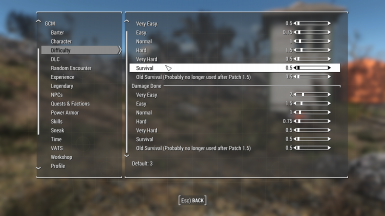 Most realistic damage overhaul you'll find on the whole nexus. Promised. liking or completely disable them! Better Explosives overhauls explosives in Fallout 4. 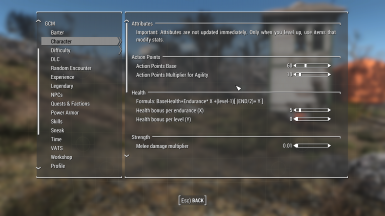 The aim of this mod is to make explosives deadly, more fun and make them differ from each other. 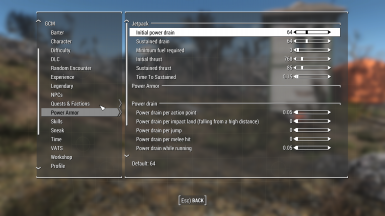 Your Power Armor will now fully absorb the damage of ballistic and laser weapon types. Each armor part will work individually and absorb the damage of the bodypart it covers. When one power armor part breaks, only this bodypart that was covered will take damage. Keep your power armor in a good state and it will protect you.